You might think it an easy job being a Marketer, it’s not. Not in today’s world of never ending technology advancements and changes, as well as an ever demanding audience of consumers. Is Digital Technology and Technology driving today’s Business? One way to answer this is that the age of Digital Technology is redefining how we view and engage in the world. So ask yourself ‘AM I RELEVANT?’ How competitive are you right now and for the future? These are important considerations; otherwise your competitor’s will leave you behind. 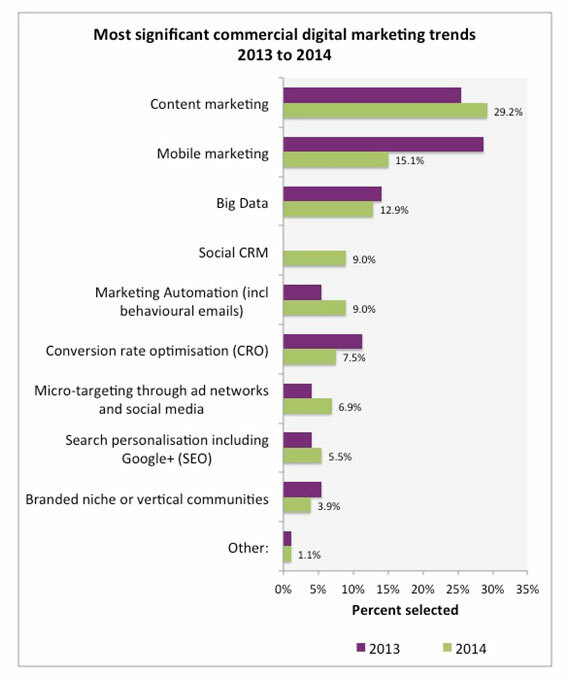 TRANSFORMATION is what is needed in our Digital Marketing age. Your customer is always central to your marketing campaigns, naturally, but now if you consider how today communication devices are altering the way we live our lives, it comes with no surprise your customer is looking for the full package. Deliver your campaigns across the spectrum of social media channels and combine this with design and creativity to capture their imagination. Priority considerations are now given to the devices they will be using, long gone is the day when your typical customer was sat in front of their PC. You have to work with all forms of mobile devices. Luck is on your side when you consider the amount of innovative techniques and tools available to perform your campaign. Take the time to consider what works best for your team and clients and have it form the strategy on which you build your marketing plans. 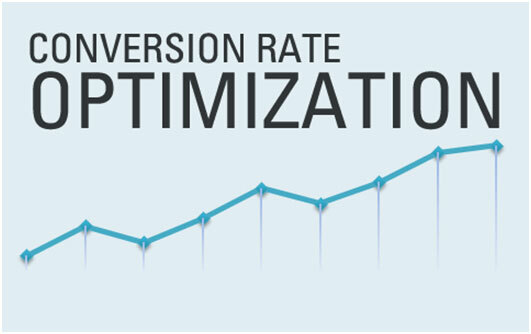 You are looking to capture and influence a market and of course the big trend of this year, which was being overlooked previously, is CRO – CONVERSION RATE OPTIMISATION. This is what you measure; we introduced briefly before at ‘Measuring What Matters’. Be clear what you want your customers to do when they access your business and be sure you are tracking them properly. This year it is trending and has measured a growth of 9%. Use the analytic and feedback from CRO and you will have a clearer understanding of how to deal with your customers and what to do to enhance the performance of your webpage. Your TOTAL CONVERSIONS is the number that basically converted, determined by the desire of your campaign, making a sale for example, if this was the desired outcome? How do you come to this figure? Take the number of visitors to your site and divide it by the number of conversions and this gives your CONVERSION RATE. *Remember don’t be fooled by the number of users and what everyone else is doing, work with what you have. Make good use of the analytic s to get to know your visitors that go to your site. Don’t think you can just throw money at it either, it isn’t the only answer. Go forward with CRO first to make sure you have ironed out the problems your conversion funnel is throwing back at you. Work with what you have. There is no point in paying for advertising if you aren’t getting it right. Okay so you’re thinking my website looks good, it surely is appealing to people, it navigates well. This is all fine and good, but it doesn’t determine your conversions. • The speed of the website is just too slow. • The process to convert is too long. • Your layout might not be easy on the eye and be confusing. • Your calls to action are cluttered by images, links and text. • Your SEO, Ad-words and tagging have led people to you misleadingly. • It might not be optimised for Mobile technology. There are tools to measure your users in real time. Working with your conversion funnel you can connect this to the user behaviour and check the analytic s.
Content is still topping the leader board. How you display this content is as equally important, try other ways of conveying your information to make it more visible. Start looking at Slide-share and Pinning the blogs, make videos and animations. Title your blogs and make them stand out, what would you search for, then post them along with snippet information, you can recycle your blogs by changing the title and description of it. Get creative and change the content into a Slide-share. Marketing trends are constantly changing and you have to stay informed to get the best results and turnaround for your Business.